I was made CO – Commanding Officer – of R.C.A.F. Radar Station in Moisie Quebec. I had been promoted to A/W/C, Acting Wing Commander effective 9–August–1965. After being stationed in Paris, R.C.A.F. Radar Station Moisie (formally known as 211 Aircraft Control & Warning Squadron (call sign Crowbar), was quite the contrast. Moisie was literally at the end of the road. From Sept Iles one would travel some 14 miles or so on the 138 Route Jacques Cartier, hang a right at Chemin des Forges, pass the Maliotenam Innu Reserve and then onto Moisie. To go further would put one into the Moisie River – one of the best salmon fishing rivers in the world. The Moisie River is a river in eastern Quebec and is one of the most beautiful wild rivers of North America and one of the ten finest salmon (fishing) rivers in the world. Called and known as the Nahanni of the East, it flows south from Lake Opocopa near the Labrador border to the north shore of the Saint Lawrence River. The village of Moisie was located at its mouth. The river is 410 km in length. (The river's name may originate from an old French word moïse or moyse meaning "marshy banks" or "moist banks".) The Innu call it "Mishtashipu", or "Great River". As they have done for thousands of years, the Innu continue to use the river to reach their northern hunting and fishing grounds. Large parts of the river were also home to private fishing clubs. The region in which RCAF Moisie is sited has been the theme of many historical writings. (b) a voyage in 1603 by Sieur de Champlain when he described the area in the Bay of Moisie as barren land with a rugged coastline. Until approximately 1850, the presence of white men at this latitude was sparse, and consisted solely of the lone "coureur des bois" trafficking furs with the local Montagnais and Naskapis Indians. In 1859, the Hudson’s Bay Company, having lost its absolute fishing, hunting, and fur trading rights was forced to close its trading post in Sept-Iles. The closure of the trading post permitted a number of "privateers" to come forth and enter the lucrative fur trade. Hugh Chisholm, who married a squaw, was an introverted and courageous Scot. Chisholm rapidly acquired a domain stretching from Moisie to the Matamec River. John Holliday from Quebec City, exploited a salmon fishing monopoly on the Moisie River while David Tetu had a free reign on the cod. 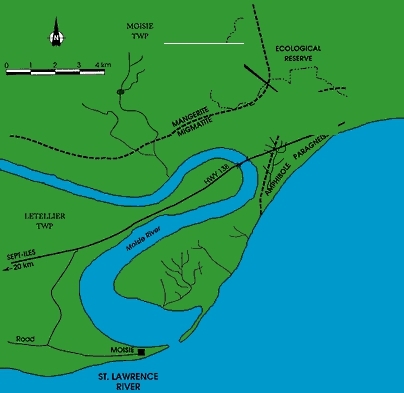 In 1865, Lamothe from Montreal, Tetu the fisherman, and four confederate soldiers on the loose discovered iron deposits in the sand on the eastern shore of the Moisie River. Conclusive laboratory reports saw the formation of La Compagnie des Mines de Moisie. This company was later named the Moisie Iron Company. William Markland Molson becoming the principal shareholder. Eventually , the iron ore development in the Moisie area dwindled. High tariffs finally resulted in the suspension of all operations. It was a slow, hard beginning. In following years large mining concerns appeared on the scene and brought fame and wealth to this northern area by mining once again iron ore on a large scale. The Radar Station, first opened in 1953 and being run by No. 211 Aircraft Control & Warning Squadron, was located on a hill or plateau adjacent to the fishing village of Moisie. On one side was the Moisie River and on the other side, about a quarter of a mile away, the North Shore of the St Lawrence River. We were approximately 14 miles east from the city of Sept Iles (Seven Islands) and approximately 440 miles east of Quebec City. Air Defence in Canada during the Cold War meant the RCAF could be found in some rather remote regions. 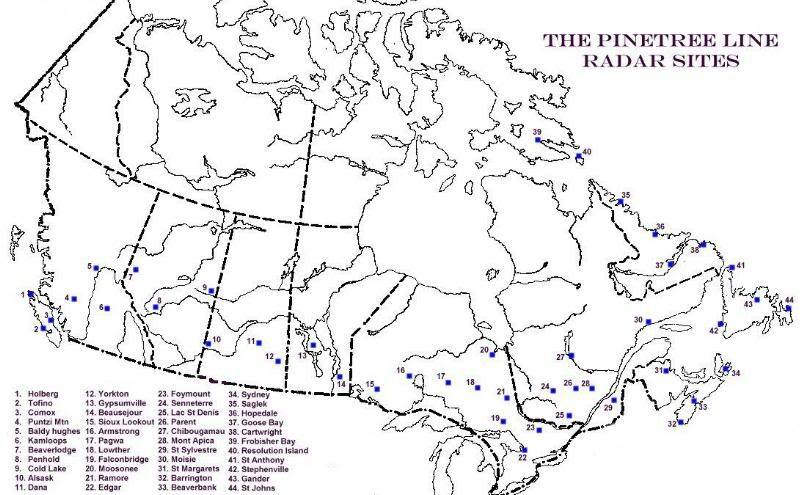 Most of the stations along the RCAFs Pinetree radar line could be found along the 50th parallel but to better cover eastern approaches to the continent, some stations were sited at odd locations. Placed at the end of a sand-bar east of Sept-Iles, RCAF Station Moisie served as a back-up station to the Pole Vault radar system along the Labrador coast and also gave fighter-interceptors protecting SAC bases in the United States a greater warning interval. As with most other Pinetree sites, Moisie was put up in the early 1950s. The radar station was originally known as Clarke City. Clarke City was located on the eastern bank of the St. Marguerite River, 31 miles west of the site; however, the village of Moisie was closer and the station was eventually named after it. Some say RCAF Station Moisie was established to give the Canadian government a better idea of what was going on over Newfoundland and Labrador. 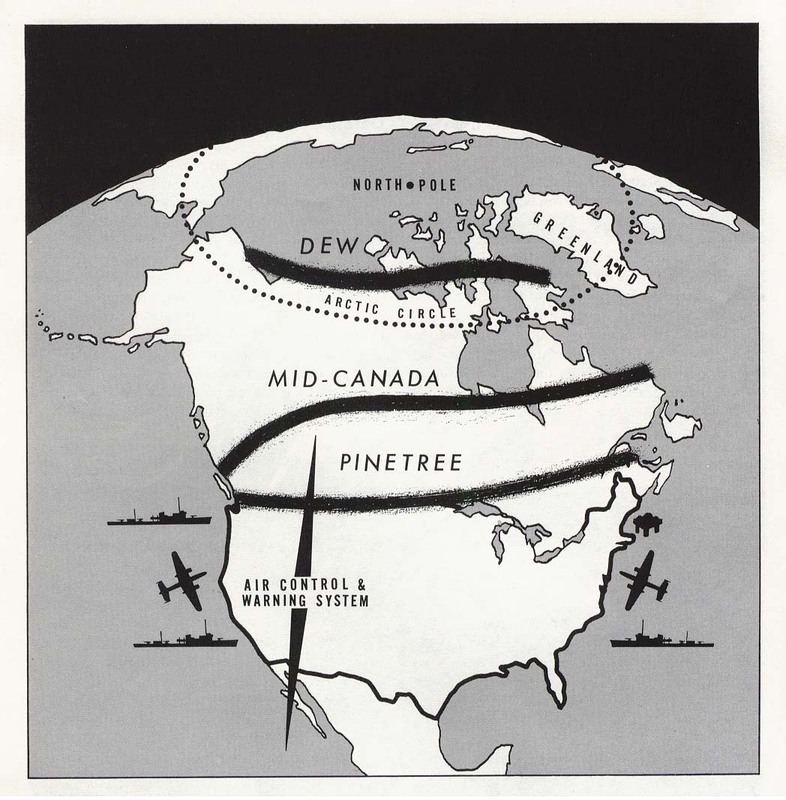 Since the Pole Vault network along the Canadian north-eastern coast was manned entirely by the USAF, the RCAF wanted to keep its own eye on the area. While manned by the RCAF, it was one of several stations financed by the American government under a cost-sharing agreement. R.C.A.F. Station Moisie is location 30 on the map. The relationship between the PINETREE LINE and the MID-CANADA and DEW LINES are illustrated in the graphic below. 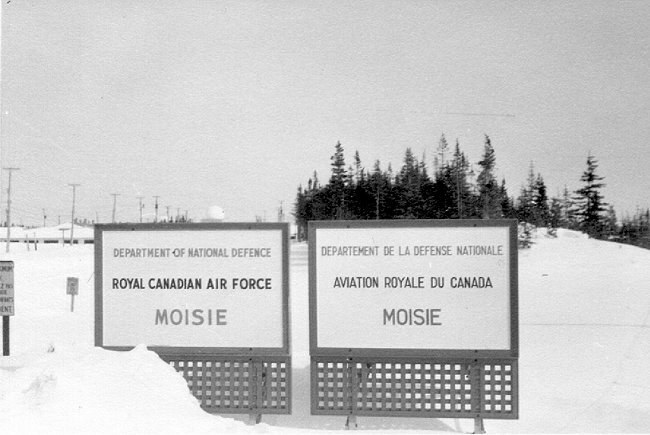 Construction commenced in 1951 for the new RCAF installation at Moisie (C-33) and was completed by June 30 1953. On the same day, 211 Aircraft Warning (AW) Squadron was formed at Moisie providing limited early warning services, eight hours a day, five days a week. The unit assigned to man the station, 211 Aircraft Control & Warning Squadron (callsign Crowbar), began life on 23 May 1953 when an advance party of RCAF personnel arrived at Moisie. The title, 211 Aircraft Warning Squadron, underlined the fact that it acted as an early warning site only and had no aircraft control function, unlike at other stations. The RCAF Detachment assumed control of the station on 1 July 1953. In September of the same year, the detachment commander was elevated to Commanding Officer of RCAF Station Moisie; which became part of Air Defence Command. By 1954, there were 11 officers and 126 airmen assigned there. The station was seemingly only built up gradually since the headquarters, recreation centre, fire hall and medical building were only finished in 1956 and the junior ranks club, in 1966. RCAF Station Moisie first began its days with some unusual radar equipment. Its first antennae were a TPS-502 for height-finding and an FPS-3 for searching, both standard equipment, but its back-up search radar consisted of an ex-army gun-laying radar, designated FPS-202. Its antenna was of the solid bulldozer blade-type, unlike the 3 and others which had the more common net pattern. Other electronic inventory at 211 AW Squadron included the common UPX-6 IFF receiver, used to query approaching aircraft, and the GPS-T2 aircraft simulator, used to provide inputs to a radar console for training purposes. Throughout the 1950s, the above radar antennae were housed inside pressurized rubber domes. The air pressure in these domes had to be maintained at all times since a lack could cause deflation and entrapment in the rotating antenna. This was the case one day when low air pressure and strong winds contributed to this type of accident. The dome had deflated enough to have the antenna crash through the rubber sheathing. This necessitated the radars shut-down and replacement of the dome and was probably one of the reasons why rubber was replaced with solid plastic at all sites later on. Oddly, one of Moisie's radar towers kept its rubber dome until the stations closure. TPS–502, FPS–6, FPS–26 25 May 1953 1 August 1988 R.C.A.F. took over from USAF on 1 July 1953. Village of Moisie destroyed by flooding in the fall of 1977. 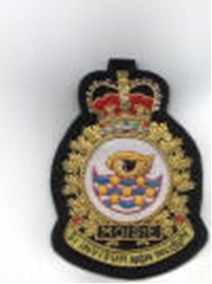 The 1960s saw many changes to RCAF Station Moisie. New and more powerful FPS-26 and FPS-27 radars were installed to replace the older equipment. The 27 Search Radar had a large 15 megaWatt peak power output and was a ten-beam antenna; the greater number of beams meant a more accurate track. The 26 Height-Finder was a single-beam dual-channel instrument also capable of large power outputs thanks to its power adder. Both these antennae had electronic counter-counter measures equipment such as log receivers that told the operators what kind of jamming was taking place. With that information, they could switch bands or frequencies enabling them to bypass the jamming. The squadron operations themselves were drastically changed due to automation and became operational with the SAGE on 1 November 1963 and reported to the Bangor Sector. With the new system SAGE, aircraft were no longer displayed on charted tables with cue sticks but rather marked on new vertical plastic tote boards. 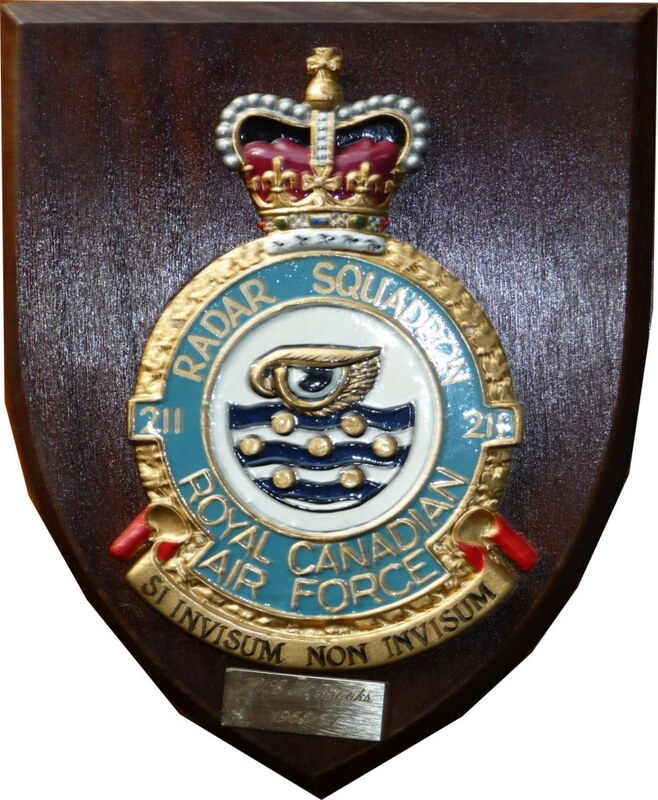 With the advent of SAGE on 1 November 1963 the station was renamed as 211 Radar Squadron, and then RCAF Station Moisie on 1 December 1963. 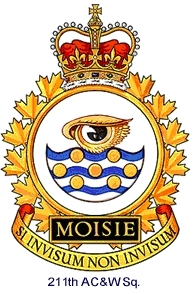 A few years later, another change occurred when the RCAF was absorbed into the Canadian Armed Forces and Moisie was re-named a Canadian Forces Station. By 1970, its population had increased to 164 military and 70 civilians, somewhat slightly larger than most Pinetree stations. Forest fires raged in the area during mid-July 1954. Thirteen personnel from the station were called out to assist in fire-fighting. They helped save Shelter Bay, now known as Port Cartier, and helped minimize damage at Clarke City. In November 1956, 211 AW Squadron became 211 AC & W Squadron. For a few tense days in July 1958, the station was put on increased alert status due to the critical situation in the Middle East. During May 1959, Moisie went from a strictly early warning unit with identification function, to that of an air defence ground control interceptor site. Radio Station CFRM began broadcasting from the radar site in 1964. The popular station with a 10 watt output was located at 1340 on the dial. The station crest depicts the watchful (radar) eye with ‘seven islands’ floating in a blue wavy river back drop.